This is a book about a man from Mars, not a Martian, but just an unfortunate human who’s brought up by Martians and later taken back to Earth – that’s where the real story begins. 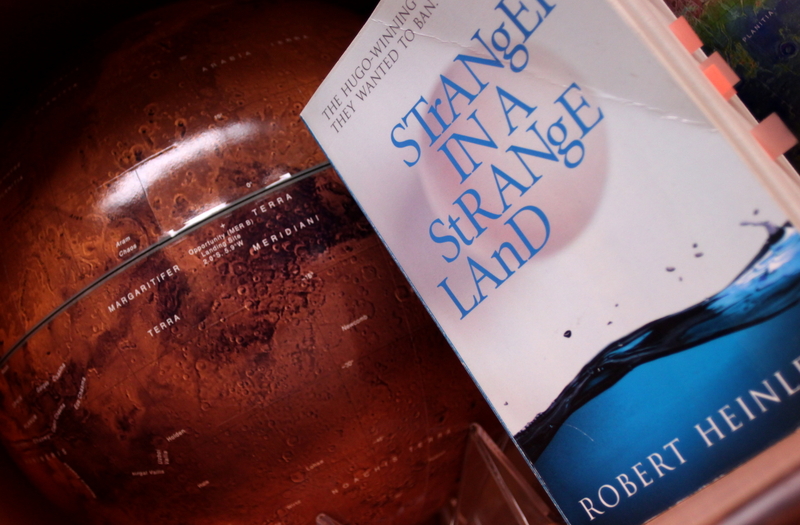 “Stranger in A Strange Land ” is interesting mostly because of the cultural differences portrayed in the novel – they rise first because of the need for survival – the Man from Mars, Mike has to learn about human culture in order to thrive and live successfully but at the same time, the people who are dealing with his education are being taught at the same time – they can see how different Mike is. It’s not physical differences (although i’m pretty sure that an MRI would have shown lots of differences between Mike’s brain and some random “grown on Earth” human’s brain), but just otherworldly ways of thinking. At some point in the novel I suddenly started to realize that they’re dealing with some sort of cultural exchange… it made me think of the real here-and-now human experience… with the globalization a large percentage of humankind has access to knowledge about other cultures, other ways of doing things, some even have the opportunity to move into a different culture. But that’s where there’s a fork in the road – one might either be willing to learn about the other cultures and welcome the differences or try to fight it and influence other people to accept their own way of life. In “Stranger in a Strange Land” Mike first has to adapt to his new environment and learn the ways of the people in order to survive, his closest supporters don’t have a need to learn much about Mike’s background, only enough to make the teaching efficient – they don’t gain rewards instantaneously just because of it – it’s more beneficial for Mike.